The Transit & Bowditch have been duly received. 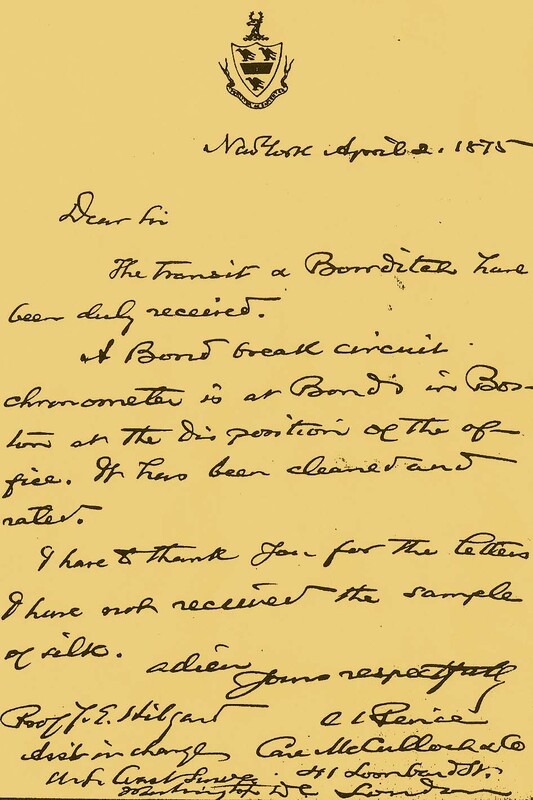 A Bond break circuit chonometer is at Bond's in Boston at the disposition of the office. It has been cleaned and rated. I have to thank you for the letters. I have not received the sample of silk. Asst. in charge Care McCulloch &Co.
U. S. Coast Survey 41 Lombard St.